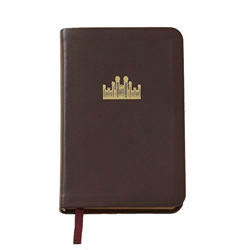 Measures 3 3/4" x 5 7/8"
This is the Church's official hymnbook bound in genuine leather. 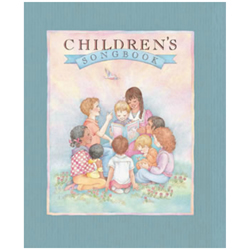 It includes several indexes and a section on using the hymnbook. 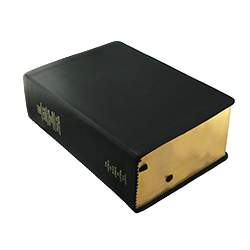 A pocket sized hymnbook makes a great gift for missionaries or a great addition to a new set of scriptures. 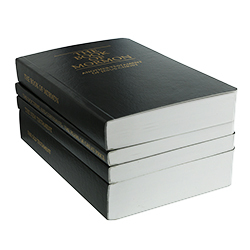 The pocket-size edition is 3 ¾″ x 5 7⁄8″. 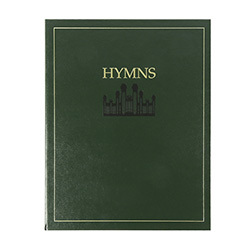 Whenever a hymn is sung, I don't have to go looking for a book. It's in my pocket. Love it. 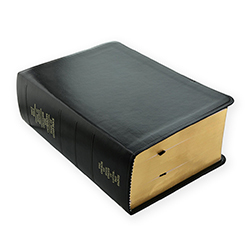 Beautiful, soft book. It's just right for a young man getting ready to go on a mission. 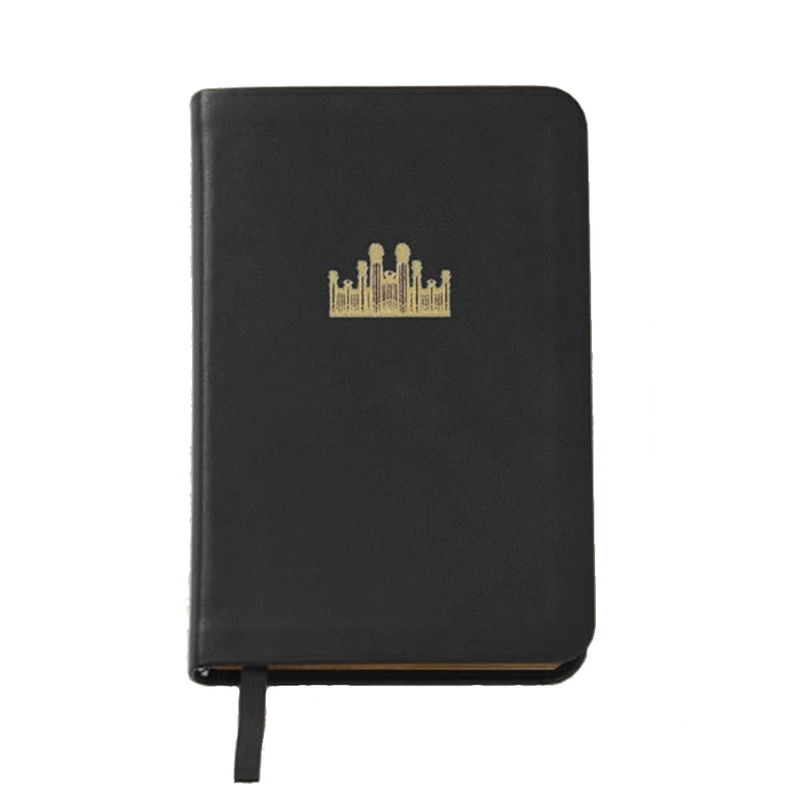 portability is five stars, it holds together well, the only complaint is that the font is so small.